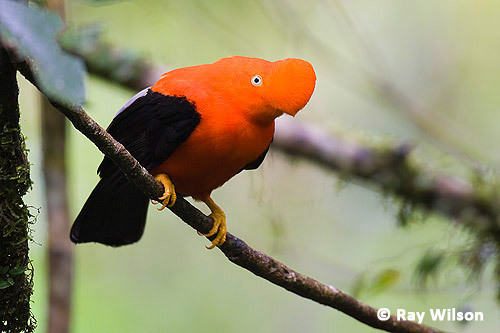 Peru is one of the most biodiverse countries in the world, with over 1800 species of bird recorded within its boundaries. It is a country that also contains almost every conceivable habitat type. 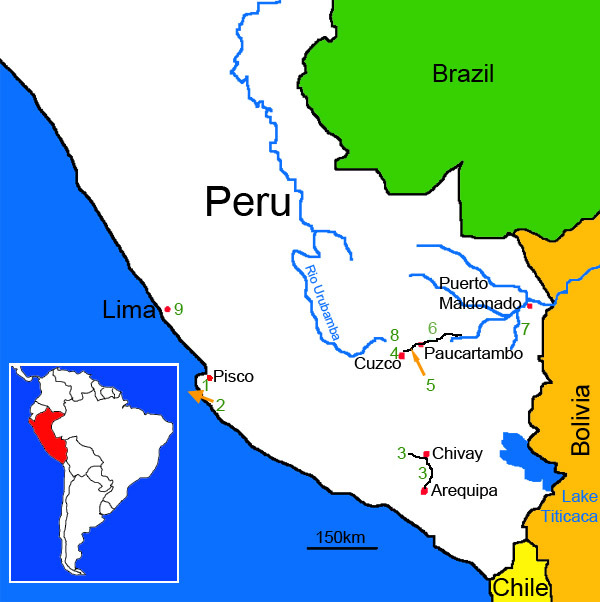 From coastal islands to high mountain peaks, barren desert to lush rainforest, Peru has it all. On this trip, I decided to try and visit a decent cross-section of most of the habitat types that are easily accessible in Southern Peru. Also, since my mastery of the Spanish language is non-existant, I hired a local bird guide, Steve Sanchez, to take care of all the travel arrangements and help me to find my main target species. Below is a rough, hand-drawn, clickable map of all the places I visited on this trip. Each link will take you to a page illustrated with photos taken at that location.